Disclaimer: It’s not possible to know with certainty who are the top dark money donors, owing to the lack of transparency in dark money transactions. Instead, we have chosen to compile a list of six people who play influential roles in the world of dark money. 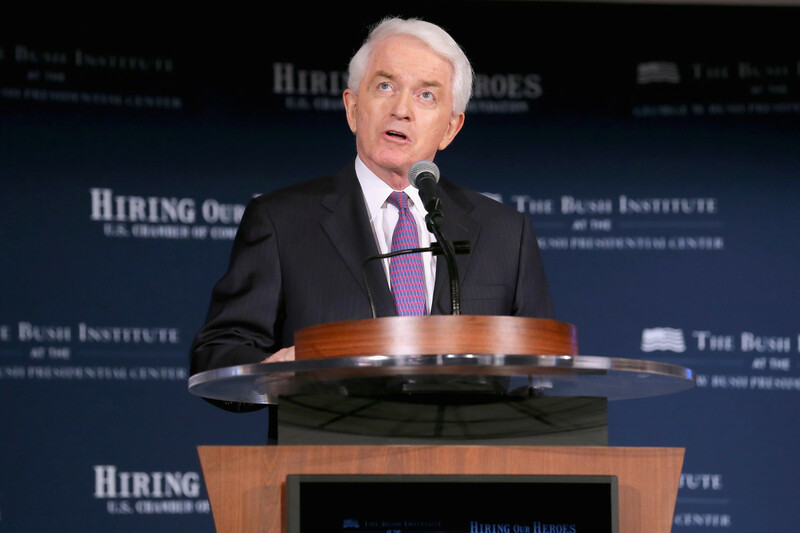 Since taking over the Chamber in 1997, Donohue has turned the organization into one of the biggest dark money spenders and a lobbying powerhouse. Since 1998, it has spent $1.3 billion on lobbying -- more than than any other group in the U.S., according to The Center for Responsive Politics. The Chamber has also become more partisan, supporting conservative interests and candidates, and in the process angering many Democrats and some local chapters of the organization. Prior to the 2016 election cycle, most, but not all, of the candidates the group supported were conservative. However, in 2016, the Chamber backed Republican candidates exclusively. The Chamber has been one of the top dark money groups every election cycle since 2008, when the U.S. Supreme Court allowed organizations to spend money on political advertisements, as long as those ads didn’t expressly advocate for or against a candidate. The Chamber spent $16.6 million in 2008, making it the second-highest-spending dark money group that year. Then, in 2010, after the Supreme Court’s Citizens United decision allowed corporations to spend unlimited amounts of money supporting or opposing candidates, the group spent more than $32 million. In the three election cycles since, the Chamber has spent, on average, over $30 million.